The Business of Bridal Done Differently. The industry's shifting and you've never been one to stay behind the curve. Neither are we. We're here to connect all the heart led, trend setting, noise making business owners in the bridal fashion world and we're so glad you're joining us. We have courses, consultation, and done for you service for stores and designers on all things business and marketing. It’s a beautiful-but-crazy industry with its own set of rules and ideas. Let’s get to talking and brainstorming! 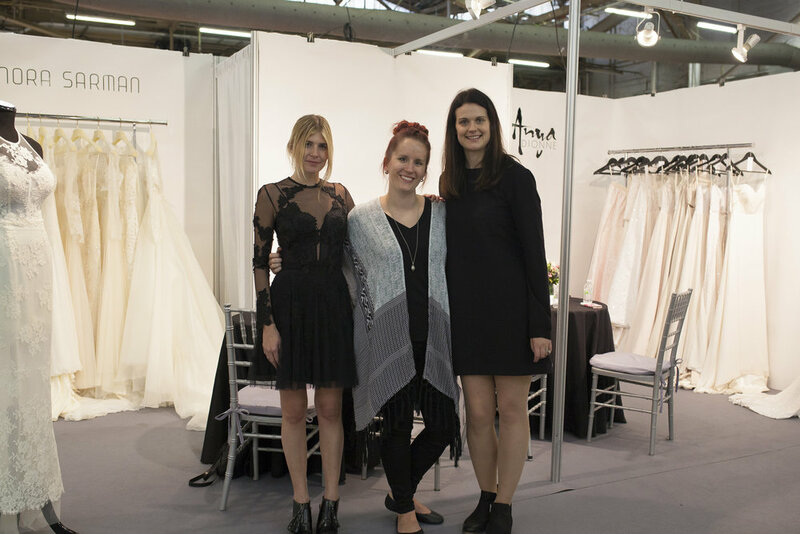 We're passionate about our independent designers and the big things they're doing in the bridal industry. Come see their styles and find out more about how easy it is to work with them to bring your brides the style and service your store is known for! Wed Altered has been making moves in the bridal industry since early 2013 and we're just getting started. This is all about where it started and what we're building next. 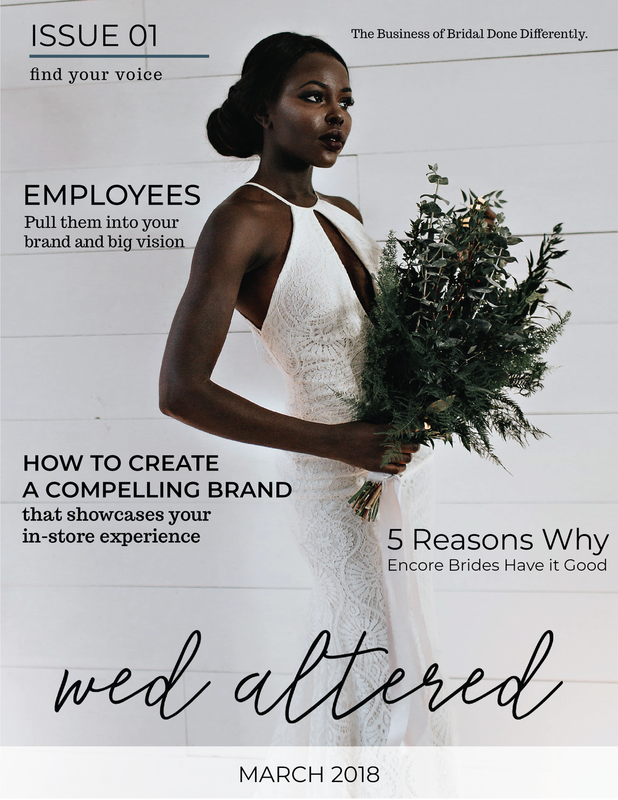 We're excited about the brand new industry-only publication just for you, the bridal store owner looking to do things big and make a difference. 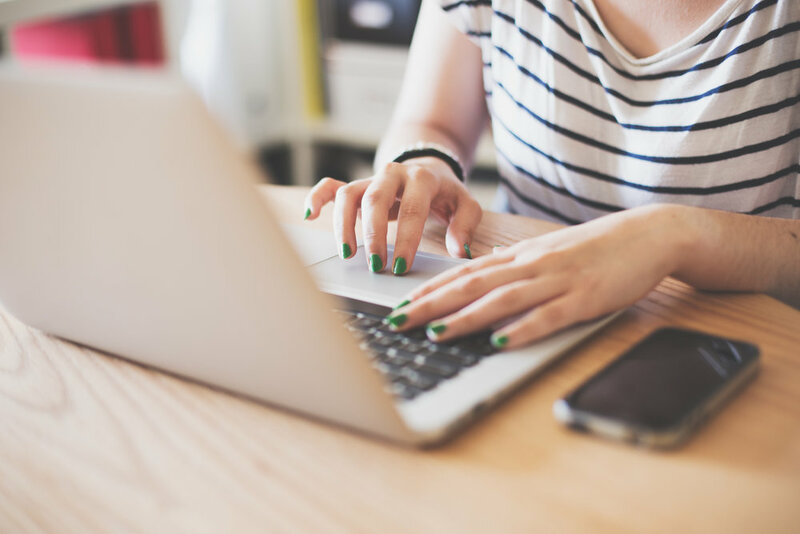 You'll find articles, industry info, and tips focused on building the business of your dreams. You'll also find the latest trends, all represented by the independent bridal designer all across the world that we're lucky enough to know. Grab past issues and sign up for the newsletter list where you'll get every new issue the minute it goes live!